Do you have an idea for a startup? Are you not sure if it’s viable or if you should pursue it? If you have a full weekend, one of the best places to vet a startup idea is at a Startup Weekend or 48 Hour Launch style event. However not every idea at Startup Weekend gets built. Also, with over 500 events a year there is still an off chance that you can’t get out to a startup weekend. What if there was a place to vet your startup pitch online. Well now, thanks to Zack Miller, Norfolk startup community leader and the founder of the Hatch accelerator in Norfolk, you can do that. Thepitch.co is a new site that for just $10 you can test the waters of your startup idea with a panel of industry experts. (*disclaimer I am a “judge” on thepitch.co). Your startup idea can be heard by people who listen to pitches for a living and have had success in the startup world and as entrepreneurs. According to the Small Business Administration 95% of businesses fail within their first five years, primarily because business ideas have not been validated or socialized through the proper channels. Additionally, entrepreneurs invest valuable time and resources into their business ideas despite the huge risk that is at stake. The Pitch allows users to validate and socialize their business idea before investing time and resources. The Pitch offers critical feedback to an entrepreneur’s business idea without the need to invest resources first. 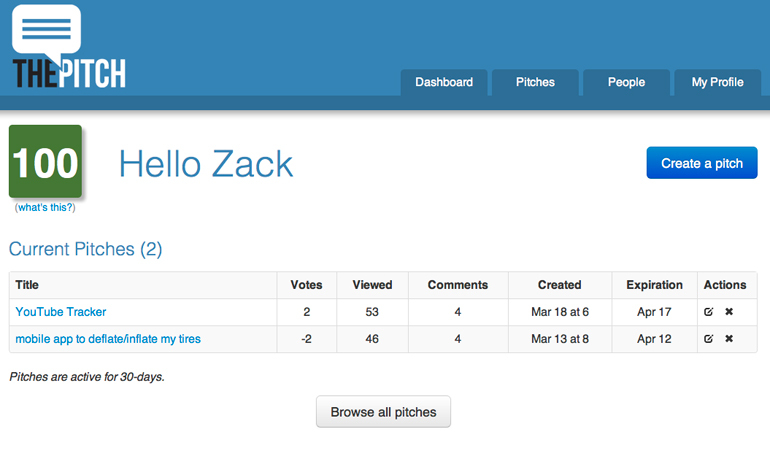 Pitches are validated by experts and voted by peers. Although The Pitch can’t guarantee the success of your business idea, it can help better predict the level of interest and the amount of traction behind your idea. Hampton Roads Virginia is a thriving community anchored by Norfolk, Virginia Beach, Hampton, Newport News and Chesapeake. They’ve got a lot of great technical talent coming out of the military bases in the community and a great feeder system of colleges like Norfolk State, Hampton University and Old Dominion University. They’ve also been put on the map with efforts like Start Norfolk. So it was only natural that one of their own entrepreneurs Zack Miller decided to start an accelerator program for the region. He decided to put it in Norfolk which is the epicenter for Hampton Roads. Hampton Roads already has three accelerators in Innovation Research Park, Hampton Roads Technology Center and James City County Incubator. 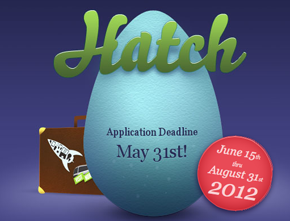 The region needed something like Hatch. We got a chance to talk with Miller about Hatch. He talks about the importance of an accelerator in the region and also gives us a break down of Hatch’s first class in the interview below.